I love reading poems, especially by women. One of my favorite poets is Warsan Shire. She writes about feminism, immigration, dysfunctional families, and a lot more. More Than a Memory is Ms. Bhagat’s first published book of poems, and I can’t wait to read more of her works. I can’t wait until her name becomes as famous as Warsan Shire’s. At least in India! In this book of poems, Pragya Bhagat compellingly writes about feminism, skin color, and life in general. My only problem with it? It ended too soon! 4. On life, which she compares to a journey on the Indian Shatabdi train. Aren’t these really good? Go buy the book today! And let’s all hope Ms. Bhagat writes more! The world needs as much poetry as it can get. 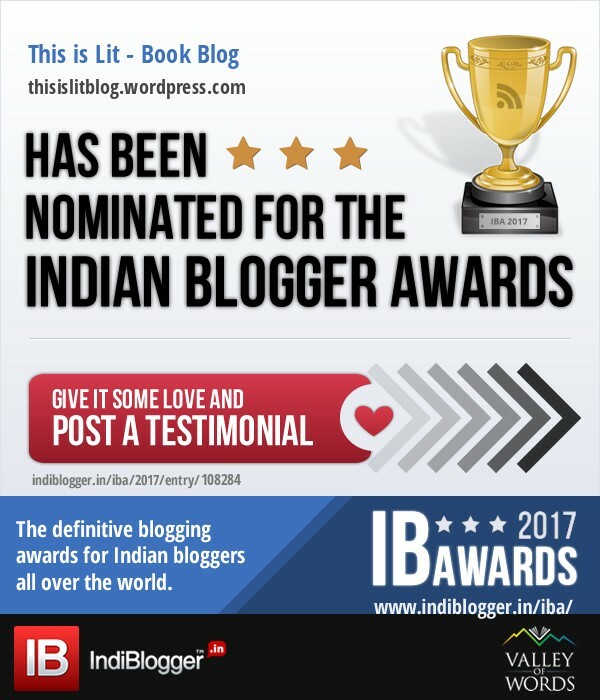 I’ve been nominated for the Indian Blogger Awards under 3 categories (books, humor, and blogger from Tamil Nadu). You can help me win by writing a testimonial about my blog. If my reviews have ever helped you, or if my posts have made you laugh, please leave a comment here. What did you think of my review? Would you read the book? Let me know in the comments! SOOO true. There were a few exceptions here and there (Rabindranath Tagore and Robert Stevenson), but still, most of them are just … dreary. I only hope there’s a stroke of luck or something in next year’s syllabus! Lovely review! I loved the comparison of life to the train journey!